I will probably always remember 2010 as the year I finally went crazy, going from the kind of person who has a mere “DVD collection” to the owner of a massive “home video library.” With a tinge of self-justification, I offer two reasons for this: 1) This was the year I went from teaching film studies part-time to teaching film studies full-time. I figure I might as well purchase (as opposed to rent) any movie I show in class since I will undoubtedly be showing it again in many more future classes. And 2) Last Christmas my wife generously bestowed upon me a multi-region Blu-ray player capable of playing any Blu-ray disc or DVD manufactured anywhere in the world. Now what’s the point of having such a fancy-schmancy piece of equipment if I don’t take advantage of it by purchasing a bunch of Blu-ray discs and DVD from Europe, Asia and Australia, hmmm? The subject of this blog post concerns recent Blu-ray releases from the British Film Institute that to my mind completely justify owning said multi-region player. Oftentimes when I remark to friends, family or students that I recently watched an older movie (for instance, The Searchers) on Blu-ray, the response is something along the lines of an incredulous, “But why do you need to see that in HD when it wasn’t even shot on HD?” This invariably leads to me giving a brief lecture on the fact that the image resolution of 35mm film is superior to high definition digital (it contains twice as much visual information) and that the image resolution of HD is likewise superior to “standard definition” video. Therefore watching a Blu-ray disc of a movie shot in 35mm from any year is going to bring the home viewer much closer to the experience of seeing the “real thing” (i.e. what you see in the theater) than watching a standard def DVD of the same movie; you are literally seeing more of the original image. Consumer confusion over what one is ultimately getting out of these various formats is understandable though, especially when most distributors appear reticent to remaster their older catalog titles in HD and release them on the brave new Blu-ray format. Even the Criterion Collection, a national treasure if ever that could be said about a home video distributor and a company that has already given the world quite a few exemplary Blu-ray releases, has helped to perpetuate the myth that only movies that can be said to be visually spectacular benefit from the Blu-ray treatment; some of the most significant Criterion releases of the year are older titles that have unfortunately been given standard DVD releases only, including Roberto Rossellini’s War Trilogy, Make Way for Tomorrow and a new trio of Josef Von Sternberg silents. Therefore I am especially grateful to the BFI for throwing down the gauntlet with Blu-ray releases of four films by Yasujiro Ozu. Although Ozu is arguably the greatest of all Japanese directors and there is a near-critical consensus that his films are transcendentally uplifting in a way that is purely cinematic, his filmmaking art also has the reputation of being, how shall I say, visually modest. The four BFI releases, The Only Son, Late Spring, Early Summer and Tokyo Story, were all made between 1936 and 1953, shot on black and white film stock in the square “Academy ratio” and use lighting set-ups and camera lenses that were standard for the time. What’s more, Ozu’s movies are notorious for a pronounced lack of moving camera (nearly all of his shots are taken from a static low angle) and a unique use of cutaway shots to seemingly random exteriors in place of the dissolves, fades and other optical effects that traditionally mark a transition between scenes. So for those wondering how much these titles can possibly benefit from an HD upgrade, the answer is, well, a hell of a lot. These BFI releases come as three separate packages, each spanning two discs, in which one of the director’s postwar masterpieces (Late Spring, Early Summer and Tokyo Story) is presented on Blu-ray and bundled together with a standard DVD version of an earlier, thematically similar prewar work (The Only Son, What Did the Lady Forget? and The Brothers and Sisters of The Toda Family). (As Ozu obsessively revisited the same themes, this was quite easy to do.) The Late Spring release has the added bonus of containing The Only Son, not coincidentally the best of the earlier films, on Blu-ray as well standard DVD. Come December, this Late Spring / The Only Son Blu-ray disc will almost surely be at the top of my list of the best home video releases of the year. For me, the most revelatory aspect of these new transfers is how much they changed my perception of Ozu’s masterful tonal use of black and white. Having seen all of the later films previously on standard DVD, I was always under the mistaken impression that Ozu’s movies were exceptionally gray in tone. Now, with the increased tonal range of Blu-ray, we are able to see greater contrast between tones than ever before. Blacks especially appear inkier, deeper and richer. Across all of the films, the dark scenes appear much darker, in a way that is more pleasing to the eye and truer to the original source material, than what we’ve seen in previous home video incarnations. The increased clarity of the Blu-ray format leads to increased detail in the image as well; I was amazed by the highlights in Setsuko Hara’s hair, for instance, in certain close-ups from Late Spring where she appears dramatically backlit. But finally, none of the remarkable clarity, detail and contrast of these images would matter if not for the remarkable beauty of the films themselves. For many, the highlight of these releases will be 1953’s Tokyo Story, a film that has somewhat ironically become regarded as the greatest Japanese movie ever made. Unlike the post-war masterpieces of Ozu’s compatriots Akira Kurosawa and Kenji Mizoguchi, Tokyo Story did not receive distribution in the west until the 1970s. Most film distributors thought Ozu’s movie was “too Japanese” and would not be easily understood outside of its native country. Today, this is almost difficult to comprehend as Tokyo Story seems as timeless and universal as the plays of William Shakespeare. In contrast to Mizoguchi and Kurosawa, who specialized in period films, Ozu made contemporary movies almost exclusively. He also examined the same central theme repeatedly, the conflict between generations within the contemporary Japanese family. 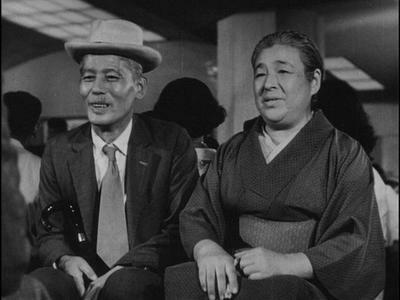 Tokyo Story, for instance, is about an elderly Japanese couple who leave their small hometown of Onomichi to visit their grown-up children in Tokyo. Upon arrival, they find that their children don’t have much time to spend with them and even treat their parents as if they are a nuisance. In this moment Ozu seems to acknowledge the inherent sadness of life — that families are destined to disintegrate and that all things must pass. And yet there is nothing maudlin about the scene, which is directed, like many of Ozu’s finest, with exquisite understatement; instead, it represents a clear-eyed understanding of the ebb and flow of life. This is what Ozu’s powerful, transformative art is all about. These are films that have changed my life and how I relate to my own parents. These films deserve the Blu-ray treatment because they are priceless treasures from the golden age of Japanese cinema and the best movies deserve to be seen on home video in the best possible quality. For those unfamiliar with Ozu’s work, these BFI Blu-rays offer an ideal introduction and I would heartily recommend a blind buy. 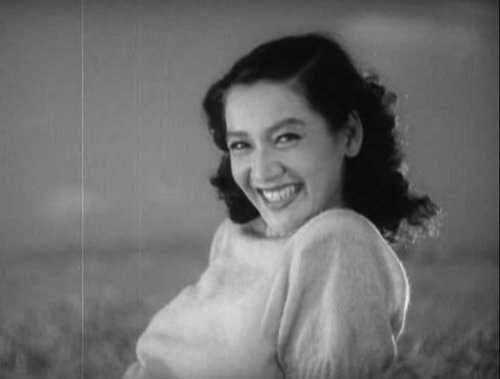 This entry was posted on Thursday, August 5th, 2010 at 9:10 pm	and tagged with Early Summer, Late Spring, The Brothers and Sisters of the Toda Family, The Only Son, Tokyo Story, What Did the Lady Forget?, Yasujiro Ozu and posted in Blu-ray/DVD Reviews, Film Reviews. You can follow any responses to this entry through the RSS 2.0 feed.